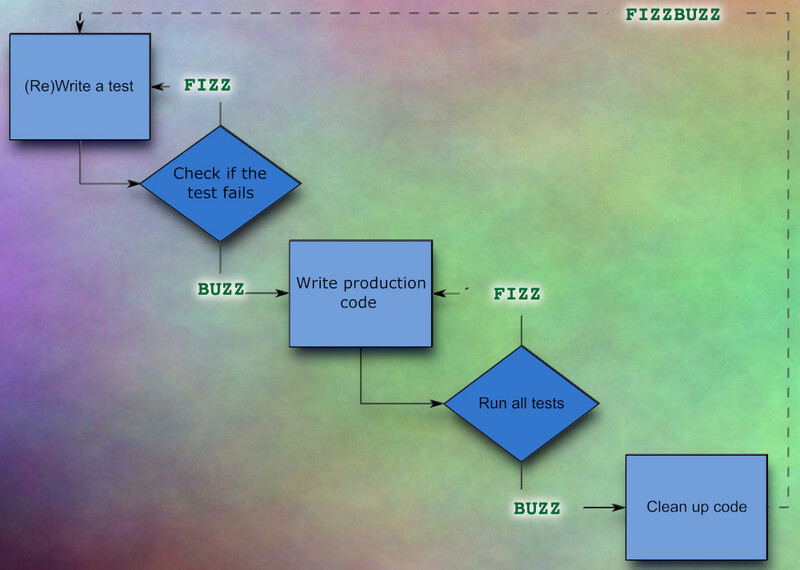 Fizz Buzz is the word-game in which players in a circle count from 1 up, substituting multiples of three with "fizz" and multiples of five with "buzz" ("1, 2, Fizz, 4, Buzz, Fizz, 7, 8, Fizz, Buzz, 11, Fizz, 13, 14, Fizz Buzz, 16, 17, Fizz, 19, Buzz, Fizz, 22, 23, Fizz, Buzz, 26, Fizz, 28, 29, Fizz Buzz, 31, 32, Fizz, 34, Buzz, Fizz, ..."). 2. Numbers that are divisible by 3, replace with "Fizz"
3. Numbers that are divisible by 5, replace with "Buzz"
4. Numbers that are divisibele by 3 & 5, replace with "FizzBuzz"
The team has 1 hour to deliver a working solution they can demonstrate to the "customer"